There are a small number of perfume houses that I would consider to have me completely hooked. By this I mean that I adore most of their output so far and will always pay attention to anything new they release. Houses such as this – Thierry Mugler, Maison Francis Kurkdjian and Etat Libre d’Orange to name a few – always have a clear vision as to what makes a perfume one of theirs. 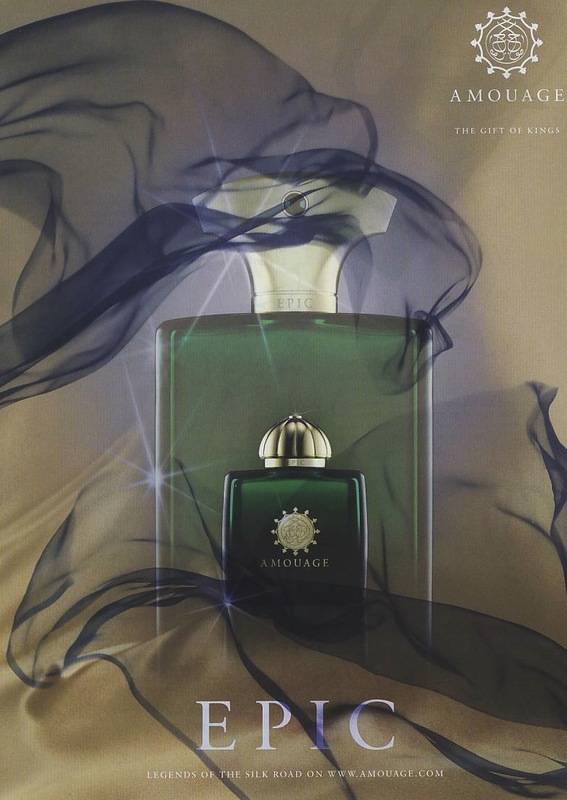 Amouage is one such house where each and every offering is a definite article that incorporates the strong ‘east meets west’ aesthetic that the brand was founded upon. With each year a new chapter in the Amouage story is unleashed and Creative Director Christopher Chong constantly pushes the boundaries of niche perfumery. Since being bitten by the Amouage bug last year thanks to Honour Woman (there is no cure BTW) the wait for the next annual Woman/Man duo has almost been a bit too much. Luckily since then we have had the wonderful Opus VI and Beloved to keep us busy, but still the anticipation has been growing. The problem with such a strong hunger for a new fragrance launch and the high expectations that inevitably accompany such an appetite is the fact that so often the final result is disappointing. This is not something that can be said of the this year’s fragrance duo from Amouage. 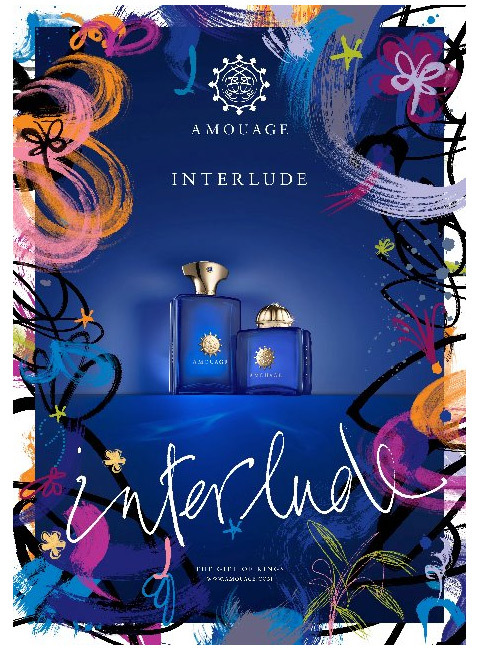 For 2012 Amouage is releasing Interlude Woman and Interlude Man, both inspired by the “interlude moment […] a reflection of all the trials and tribulations one overcomes to attain personal satisfaction and achievement”  Encased in Amouage’s signature bottles, hued in pure midnight blue, the Interlude duo has been created to “evoke an air of disorder while maintaining a sense of balance and tranquility”  Both encompass the chaos of life and offer moments of desperately needed escapism in the form of unique, contemporary fragrances. I’m at a point now where I have tried the majority of the fragrances in the Amouage stable (although not all have been reviewed, yet) and Interlude Woman & Man are easily the most unique, and perhaps the most daring to date. The multi-coloured graffiti of the packaging gives a mere hint of the high-scale chaos that each fragrance adds to the Amouage line. 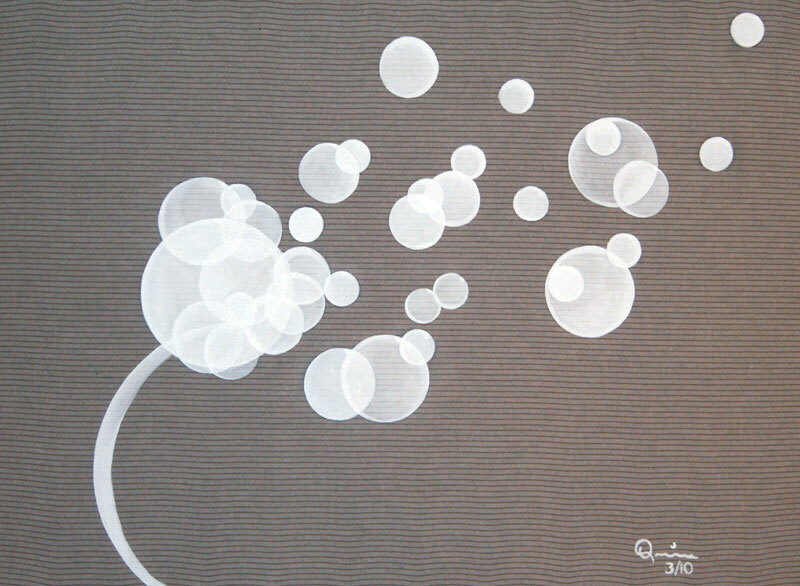 Where they don’t differ however is in quality and sheer artistry, they are 100% Amouage in those respects. There are so many niche perfume houses out there it’s a struggle for your friendly neighbourhood perfume blogger to keep up. There are niche lines within designer houses, niche lines within niche houses, private collections and exclusives – the mind boggles. To cope I have to tell myself that I simply cannot sniff everything and there are niche lines that I will ignore completely, purely because my brain cannot handle adding them to the pile of things I need to try stacked somewhere at the back of my mind, behind all the stuff I don’t use anymore; like algebra, the steps to the Macarena and the ability to resist cake. One niche house that will always receive my attention however is Amouage. I still haven’t managed to try everything in the Amouage stable (I’m taking my time and enjoying it thank you very much) but what I have tried, whether to my tastes or not has been interesting, high quality and worthy of the praise it receives. 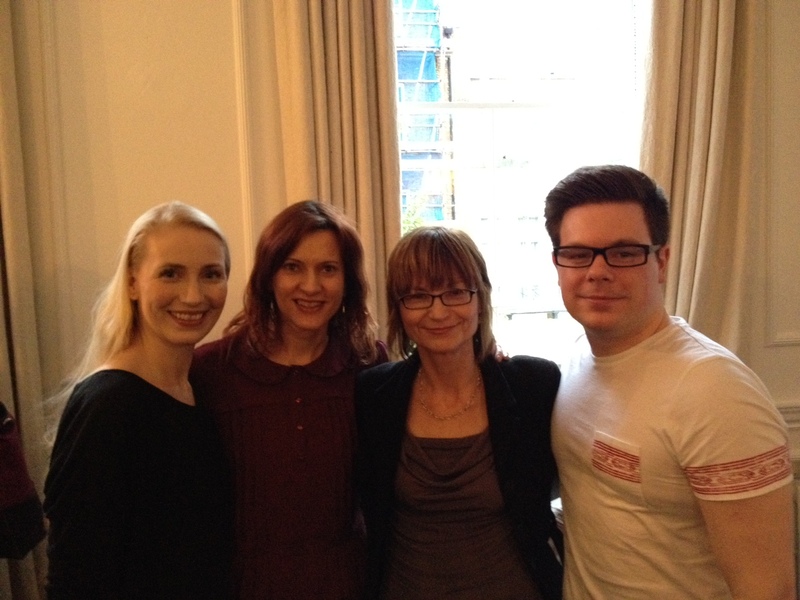 A Gaggle of Perfume Bloggers: Birgit & Tara of Olfactoria’s Travels, Vanessa of Bonkers About Perfume and me, The Candy Perfume Boy. 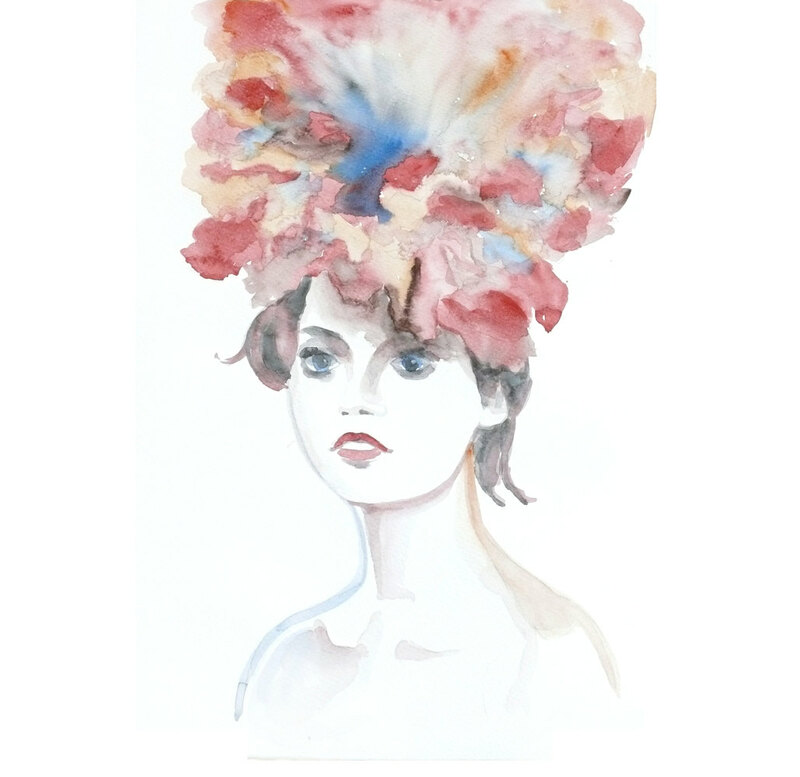 The Perfume Lovers London events organised by Lila Das Gupta as part of Olfactory Events are a fabulous opportunity to learn about perfume, to talk to and meet with like minded perfumeophiles and discover a plethora of new, exciting perfumes. It’s safe to say that every event is a joy to attend so the news that one of my favourite bloggers, Birgit of Olfactoria’s Travels, was going to be holding her very own event was very exciting indeed! I’m sure that I’m preaching to the choir here, but Olfactoria’s Travels has become a go-to blog for many perfume lovers and it’s teeming with beautifully written reviews, informed discussion and passion from Birgit and Tara, who have both changed the face of the perfume blogosphere. For her event, Birgit promised to take us on a journey through the world of amber, a sensible subject choice seeing as she has rightfully earned the title of “Queen of Amber” through her love for the genre. Now, I’ve made it no secret that amber isn’t my favourite genre of perfumes, but that’s not to say that I don’t like it either, I simply haven’t had the right amount of exposure to it, but now thanks to Birgit and Perfume Lovers London I feels as if I am well-versed on the subject! I have said it a number of times before, but things that are true must be said more than once; I am taking my sweet time working my way through Amouage’s back catalogue of scents and most importantly I am enjoying the journey immensely. What strikes me most about the Amouage line is the impressive degree of cohesion demonstrated amongst such an eclectic mix of fragrance styles, each of which is woven together by the silver thread of omani frankincense. Speaking of journeys, none are more impressive than the ancient journeys of the Silk Road, the subject of which is the inspiration behind Amouage’s 2009 feminine and masculine duo. Creative Director Christopher Chong worked alongside perfumers Cecile Zarokian, Daniel Maurel, Angeline Leporini (for Woman) and Randa Hammami (for Man) to create two perfumes that represent the sheer scale and importance of these cross-continental journeys that no longer exist. Epic is the moniker given to this type of journey and is bestowed upon both fragrances. Inspired by the legend of travels along the world’s spice and trade routes, and hued in imperial jadeite the name Epic could not be more perfect, and whilst it may lead you to believe that these fragrances are cinematic in their size, one should not be fooled, unlike other Amouage perfumes Epic Woman and Man are essays in soft elegance. I’m always keen to see what Amouage is up to, they are a brand with incredible cohesion, yet each release is new, surprising and exciting. Amouage’s creative director Christopher Chong has gone a long way to give the brand an international aesthetic, drawing inspiration from Puccini, Swan Lake and the Silk Road (to name but a few) to create perfumes that transcend culture and location. This year has been a good year for Amouage releases, March saw the release of the latest edition to the Library Collection with the orgasmically good amber Opus VI, and now, preceding the launch of Amouage’s annual masculine and feminine duo later this year, the house has launched a new feminine perfume exclusive to a small number of high-end department stores. A perfume that has been bestowed with the named ‘Beloved’. 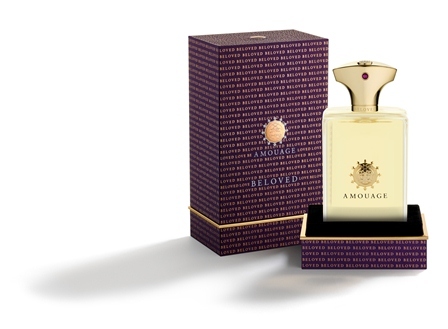 Beloved is an unusual launch for Amouage because it stands alone without a masculine counterpart and it joins Ubar as one of the only fragrances in the line to do so. It has been created to represent the modern woman so it stands to reason that it doesn’t need a man to shine. Amouage says that “Beloved engages the elegance and complexity of the modern woman: strong, empowered, animated, in control.”  and to me it feels like a contemporary modern floral with a classic edge.